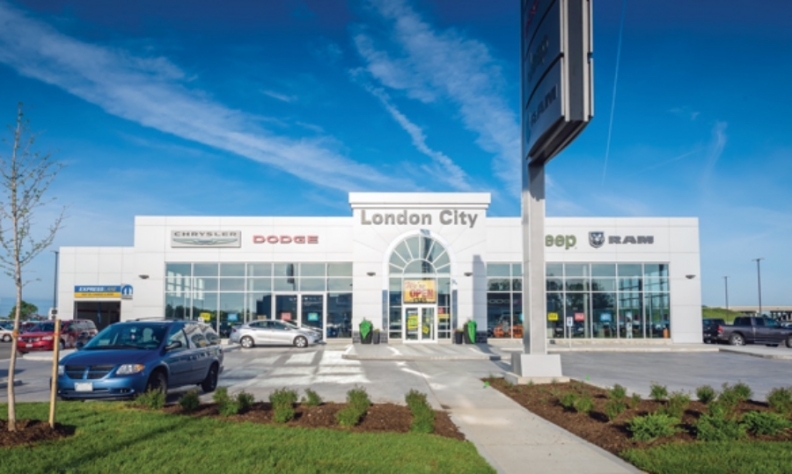 Pfaff Automotive Partners has added two more dealerships to its growing list of Canadian showrooms: London City Chrysler and London City Mazda. The two dealerships were previously owned by Southwest Sun Group Inc., an investment company based in London, Ont. Southwest Sun’s president, Brian Semkowski, was president of both dealerships. Pfaff now owns 11 dealerships, selling Toyota, Audi, BMW, Porsche, McLaren, Volkswagen, Harley-Davidson, and now Chrysler and Mazda. It does not expect to add Alfa Romeo to the London Chrysler store. All Pfaff dealerships are in the Greater Toronto Area except for a part-ownership in Porsche of London, a McLaren store in British Columbia, and now the two London stores. It also owns Pfaff Tuning, a body shop, and Pfaff Leasing locations in Toronto and Vancouver. President and CEO Chris Pfaff said the new acquisitions are “well-run, profitable dealerships. The two London dealerships employ more than 130 people, and are located in the London Airport Automall. London City Chrysler is Ontario’s eighth largest Chrysler dealership by volume. London City Chrysler opened in 1995 and was bought by Southwest Sun in 2007, while London City Mazda was opened by Southwest Sun in 2014. The company does not own any other auto dealerships.